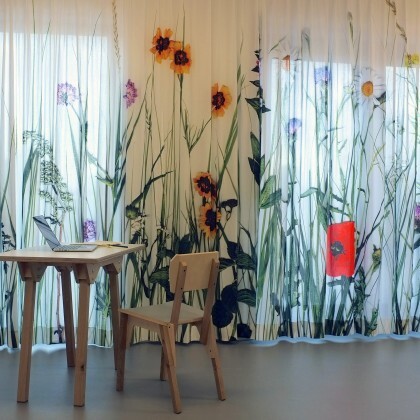 In Dutch genre paintings flowers were immortalized. 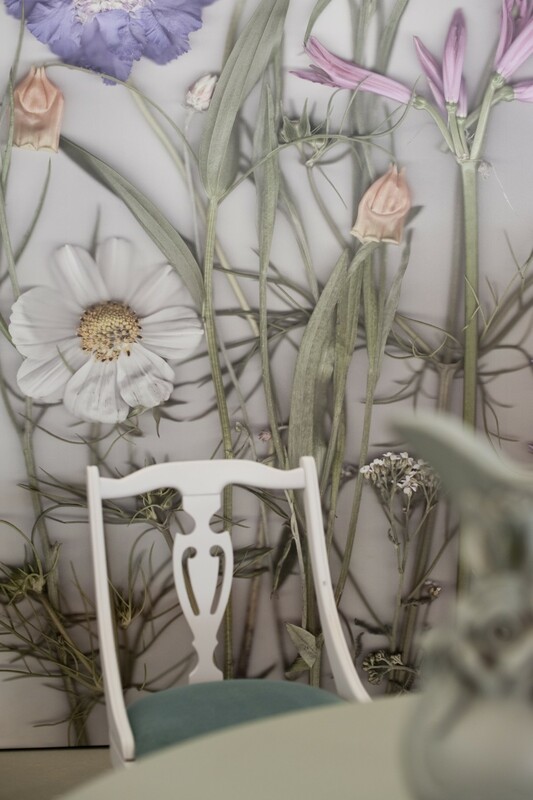 Impossible flowers arrangements with flowers form different seasons were constructed to give a surreal and infinite image. 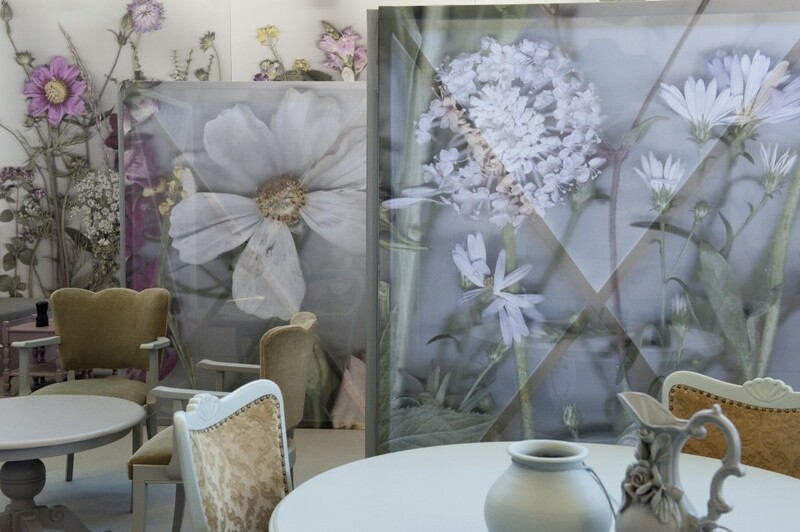 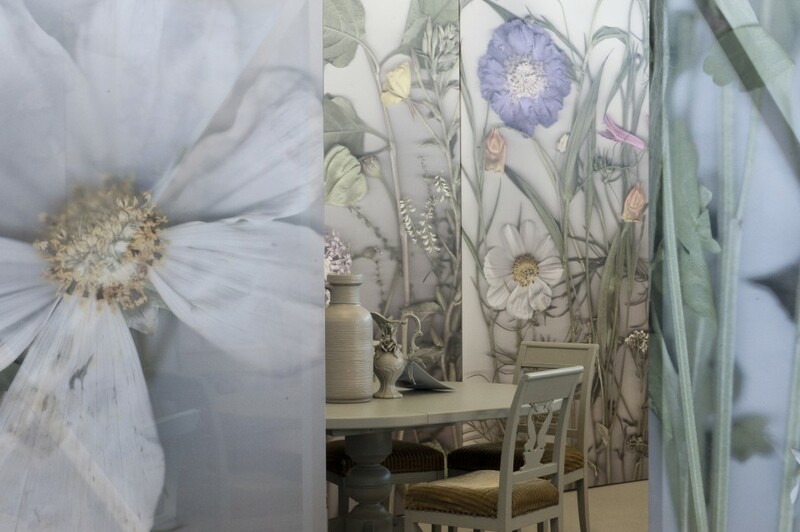 Through immortalizing flowers in the digital age – by copying them – a two-dimensional herbarium was formed by Sybrandy. 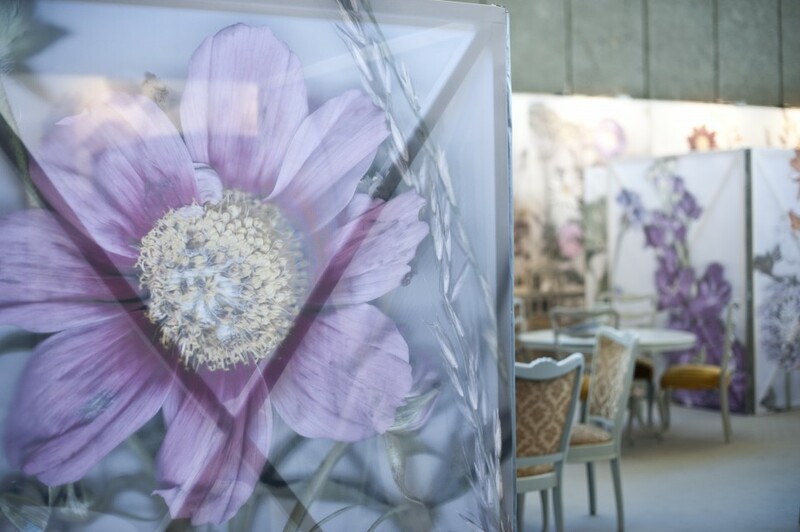 This herbarium was magnified and printed on canvas to create a blooming flower field. 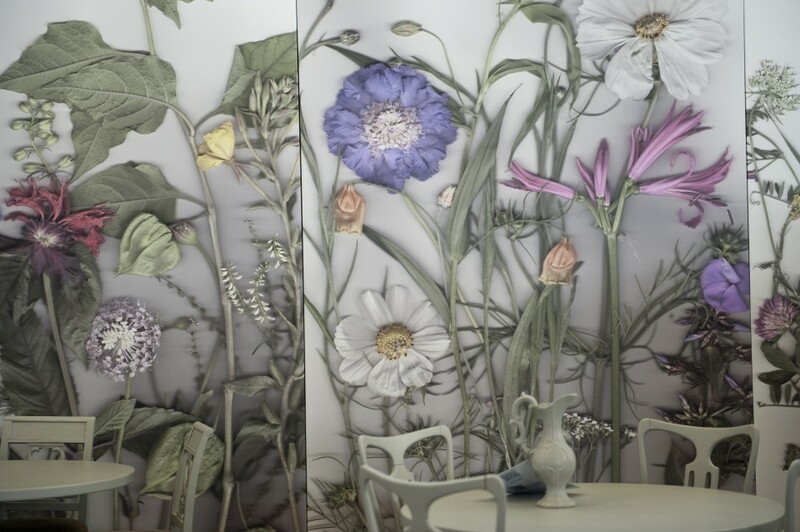 Like having tea with an ‘Alice in Wonderland’ experience – continuously shrinking with every sip of tea – the flowers around you grow ever bigger.